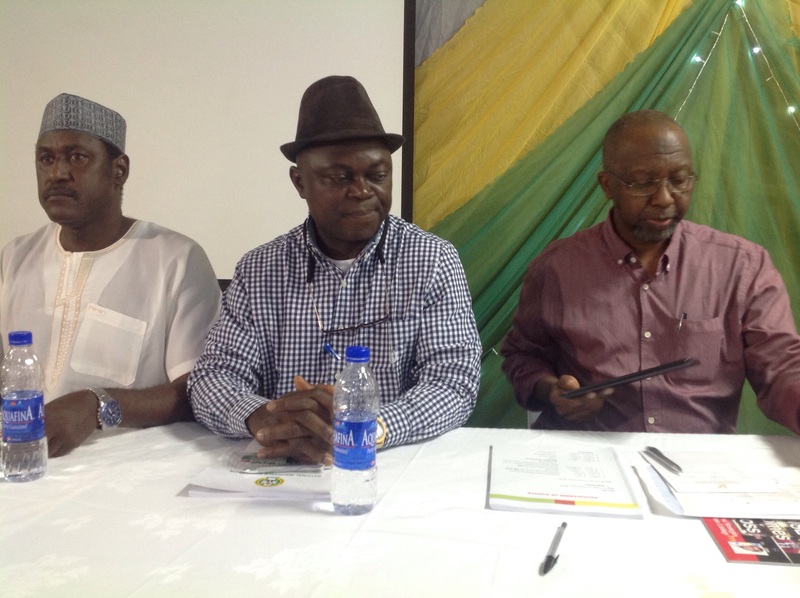 From left: Director, Admin and Human Resources, National Insurance Commission, Adamu Balanti, Director, Authorization and Policy, Leo Akah and Commissioner for Insurance, Mohammed Kari at the event. The National Insurance Commission (NAICOM) has said it is yet to receive an order issued by a Federal High Court in Lagos, restraining it from continuing with the Tier-Based Minimum Solvency Capital (TBMSC). The Commissioner for Insurance, Mohammed Kari, disclosed this today at the 2018 Seminar for Insurance Correspondents in Abuja, stressing that the commission will not shy away from its responsibility of protecting policyholders and investors. He noted that the responsibility of the commission is not to punish operators, but to nourish them, adding that the regulator is poised to ensure that insurance industry is isolated from future financial crisis. On Thursday, Justice Muslim Hassan of the Federal High Court sitting in Lagos, had earlier gave a directive that NAICOM should put a hold on its proposed minimum solvency capital policy for insurers in the country. On August 27, 2018, NAICOM, through a circular with number NAICOM/DAPCIR/14/2018, informed insurance firms that their operations would now be reclassified into tiers, noting this would be based on minimum solvency capital on the basis of their respective risks profiles and their risks management systems. The policy was expected to take effect from January 1, 2019, but the regulator later brought back the date to October 2018. The Director, Supervision, NAICOM, Barineka Thompson, on the benefits on the policy said the TBMSC Model – is a regulatory model designed for the application of proportionate solvency capital that support the nature, scale, complexity and risk profile of the business conducted by insurers, stressing that classification of business according to the present level of capital that an insurer possesses in relation to the risks that the capital can effectively be deployed to. He said the policy will enable soundness and profitability of insurers through optimal utilization of capital; encourage insurers to focus on the area of their strengths, encourage innovation and deepen market penetration, build investors’ and public confidence in the industry. Other benefits according to him, include, to create capacity for bridging insurance gap, optimize local retention and minimize capital flight; limit significant systemic risks and build confidence in the insurance industry; supports the stability of the financial system and increase insurance contribution to the nation’s Gross Domestic Product. He posited that all the aforementioned will be achieved without a mandatory injection of capital and no cancellation of licence, but insurers will be subject to solvency control level.